Imagine waking up in the beautiful Adelaide Hills every day… With room for your family to grow, stunning scenery and easy commutes, more and more families are making a tree change to Mount Barker. As bigger blocks, a sense of genuine community and a connection to nature become more elusive in Metropolitan Adelaide – more families are exploring opportunities to make the Adelaide Hills home. Metropolitan living can feel frantic – with traffic congestion, housing density and a disconnect from community becoming genuine concerns for growing families. With infrastructure investment making commutes quicker and faster internet speeds allowing more flexible working schedules – Mount Barker is becoming an attractive place for more families to call home. The commute from Mount Barker to the CBD is an easy 30-minute drive. With a brand new freeway interchange, commutes from Aston Hills specifically have been greatly reduced by allowing direct access to the freeway and avoiding congestion in Mount Barker. Many residents at Aston Hills have told us that their congestion-free commute is often a time they look forward to either prepare for or unwind from a busy day. When you’re not commuting to the city, everything you need is right here in the Adelaide Hills. From medical services to shops, schools, sporting clubs and an endless offering of award-winning food and wine outlets – the Adelaide Hills boasts a vibrant sense of community that you don’t often find in metropolitan Adelaide. Many of our residents who have built their dream home in Mount Barker often feel part of a brand new community that extends to the whole of the Adelaide Hills. This is a unique and special place to call home, and everyone who lives here feels connected. Every day in the Adelaide Hills feels like a holiday. In Mount Barker you can slow down and appreciate the simple things in life – like a long walk at the Laratinga wetlands, a round of golf at the Aston Hills Golf Club or a delicious meal at the local pub. With a variety of block sizes available at Clover Park and Aston Hills – you can build a large traditional family home, or a more low maintenance home on a smaller block. Either way – your new home will be surrounded by landscaped parks and reserves, brand new play spaces, fitness and mountain bike trails and spaces in which you can enjoy the unique beauty of the hills. Our developments at Mount Barker have been designed to support active and healthy lifestyles. Fun and adventure are an important part of modern family living that many of us struggle to find time for. By making Mount Barker home – this becomes easy for all members of the family. Whether you enjoy a nice relaxing walk, a mountain bike workout, a round of golf or a jog with friends Mount Barker is the place for you. Mount Barker is also home to plenty of Adelaide Hills sporting clubs, and a brand new Regional Sports Hub is being built on Springs Road adjacent to Aston Hills. This brand new centre will boast two football ovals, four soccer pitches, netball and tennis courts plus plenty of play spaces and more. To find out more about this exciting new project you can visit the Mount Barker District Council website here. Mount Barker boasts an excellent selection of both public and private schooling, kindergartens and childcare. Both Aston Hills and Clover Park will have their own brand new Early Learning Centres on site, offering childcare within walking distance of your new home. A comprehensive Lutheran education precinct is also being planned with the Aston Hills masterplan. Further afield there is the Willow Close Preschool Centre, Mount Barker Primary School, St Mark’s Lutheran School, Cornerstone College, the Mount Barker Waldorf School, St Francis de Sales College, Mount Barker High School plus Mount Barker TAFE SA for higher learning. The Adelaide Hills are famous for their boutique food and wine industries. With plenty of bespoke distilleries, wineries, pubs and restaurants dotted through the hills, you’ll never be far from an outstanding dining experience! From Ngeringa Wines and the Prancing Pony Brewery to Sazon Espresso, the Barker Hotel and decadent dessert bars like 50sixone you’ll never be far away from good wine, craft beer, artisan coffee, cocktails, award-winning food and delicious desserts in Mount Barker. Make the Change. 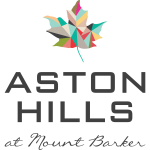 To find out more about making Mount Barker home – visit astonhills.com.au or cloverpark.com.au.